The dream for Latin America's top students: Snag a job at Google or Microsoft. 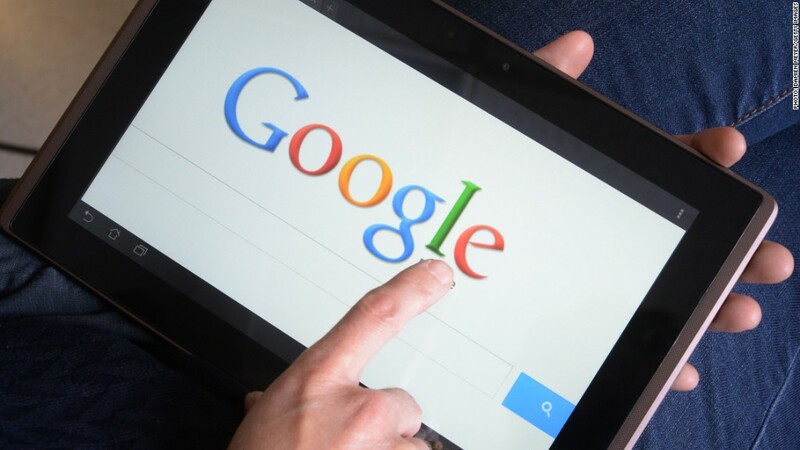 A survey of business and engineering students conducted by Universum, a research and consulting firm, found Google (GOOG) to be the most attractive employer for both majors. Microsoft (MSFT) came in second. 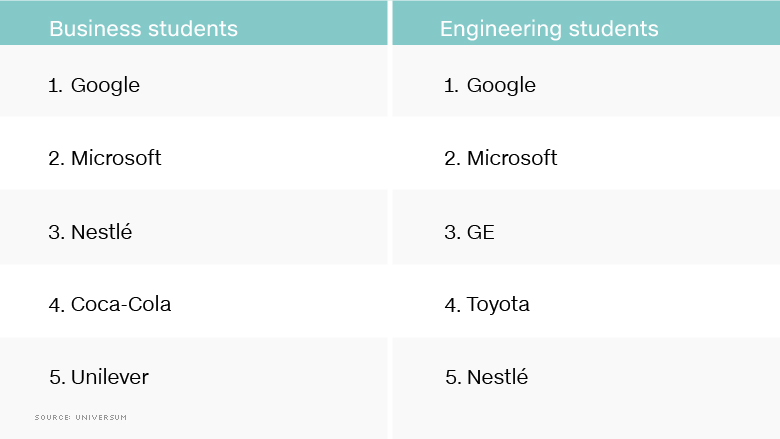 These results aren't surprising -- Google also topped Universum's annual survey of grads in Europe and Asia. "Google and Microsoft are basically popular around the world," said Andre Valias Siqueira, the director of Latin America at Universum. "They really communicate and they show their value." That value is expressed by promoting innovation and flexibility at work, Siqueira said. Companies that sell consumer goods, such as Coca-Cola (KO), Unilever (UL) and L'Oréal (LRLCY), are also very popular among business students in the region. They far outrank consulting companies such as McKinsey & Company, which is the third most coveted employer among Asian business students. "I see the consumer industry invest strategically in Latin America," Siqueira said. Spain's Santander (SAN) is the only bank to make the top 10 list for business students. But that's not because Latin American graduates are eschewing financial institutions, Siqueira said. A full 40% of business graduates said their preferred industry was banking and financial services. They just prefer local banks, which don't always show up in regional survey results, Siqueira said. J.P. Morgan is the only U.S. bank listed among the top 30 preferred employers for business students. More broadly, Latin American graduates said they prioritize opportunities for professional training and development when looking for work. "We've seen a lot of change and a lot of volatility in different countries in Latin America, and that's reflected in the desire for future success," said Kat Lynn, a Universum spokeswoman. "The students in the region are invested in building a career for their futures."